Learning Chinese seems like an insurmountable challenge for many. Unlike European languages, it has little in common with English. As a result, many people mistakenly believe that it is a challenge that cannot be handled alone. But do you really want to spend all your time on private classes and tutors? These lessons can be inflexible and require a serious time commitment. Often, the interested learner does not have the ability to commit and their dreams of Mandarin fluency get swept aside in order to attend to more immediate needs and wants. However, there are many people who study Chinese alone and do so successfully. Chinese may seem complex, given its intonations, crazy grammar structures and writing system comprised of thousands of characters. But teaching yourself these lessons at home and becoming fluent in Mandarin Chinese, step by step, is absolutely doable. Set aside your misgivings and open your mind up to this possibility. 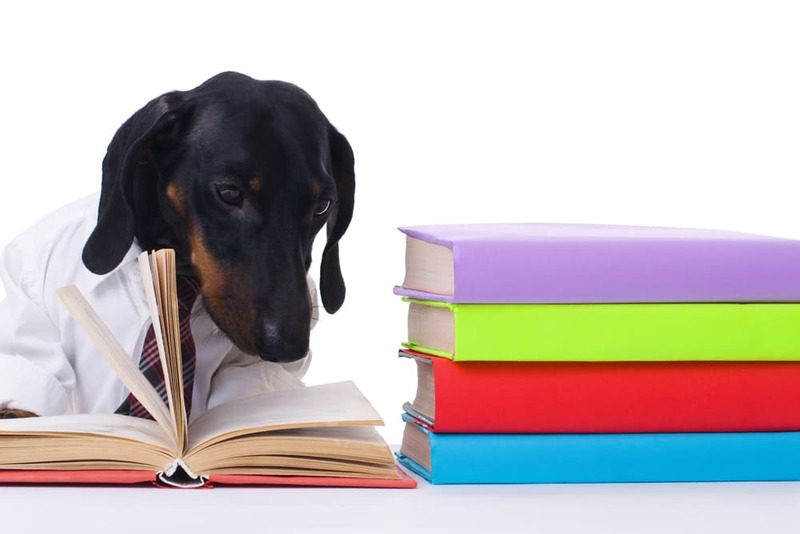 This article will focus on an example of the self-studying process for this foreign language. The methodology that will be described is only one possibility of many. Do not feel afraid to change things up as you move on. This method is a suggested outline, but you may find that different structures, techniques and materials work best for you. 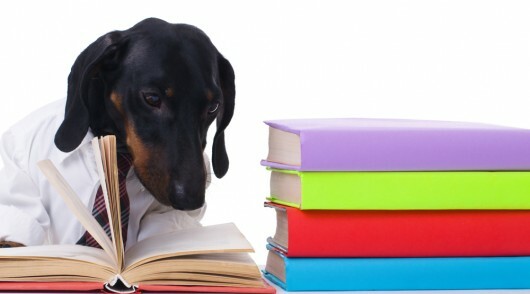 Be warned that self-studying is not for mere dabblers, as you will need dedication to advance. The amount of work you put in will correspond directly to the level of your Mandarin fluency. You probably have a million questions about how to get started with self-studying such a tricky language. Let’s break this all down, step by step. Why Self-study in the First Place? What are the advantages of self-studying? Why might one choose to go without the guidance of teachers who provide a risk-free, mass-produced teaching method? Why face the daily struggle with self-control which self-studying requires? Basically, there is one overarching benefit to self-studying: freedom. This is a freedom that you cannot find in any formal form of Chinese learning. You choose when. There is the freedom of time. You will not be bound to inconvenient hours and additional commuting time. You will never have to rush to a classroom after work. Instead, you can devote as much time as you would like. You choose when to start and stop each day, depending on your own goals. You choose where. There is the freedom of location. You can study from wherever you would like. Want to cozy up in bed or on your living room sofa after a long day of work? Feel free. If you focus better in a library or a coffee shop, take your study materials wherever you work best! You choose how fast or slow. The freedom of pace is another big one. Group lessons move forward depending on the other students in the class, and you may find that your goals do not fit with the others. You can also focus on the grammar and specific vocabulary that best suits your needs and interests. You choose what. You are also given the freedom to study what is important for you. If you are interested in learning Chinese in order to communicate very informally with friends, you will have different goals from the businessman who may require a different set of vocabulary. Meanwhile, a class with fixed textbooks and teaching materials may cater to neither of you. Self-studying provides unmatched flexibility. And of course, self-studying is free, or at least costs very little in comparison to taking classes. If you find that this appeals to you and are interested in learning more, read on. Chinese characters and vocabulary are the very foundations of speaking Mandarin. These are the basics of the basics and you should expend effort on increasing your knowledge of these aspects daily. Without knowing characters or any vocabulary, there is no next step to go on to. There are lots of resources out there for learning Chinese vocabulary. For example, using resources like Anki, you can find courses based on vocabulary lists. This word is composed of the characters spear (mao2) and shield (dun4). Together, they are put together to mean “contradiction.” It is easy to see how the composition of this word can create this meaning if you know the story behind this word. In ancient China, a man was selling spears that he claimed could pierce any shield, and shields which he likewise claimed were impenetrable to all weapons. A passerby then asked him, “so, what would happen if I use one of your spears on one of your shields?” By remembering the story, you can remember the meaning of the word mao2 dun4. After you learn to recall vocabulary, you can master them by seeing lots of examples of words in action. Otherwise, you’re able to recite words, but not communicate effectively. One great way to learn common vocabulary in an intuitive way is FluentU. FluentU takes real-world Chinese videos—like music videos, movie trailers, documentaries, news and inspiring talks—and turns them into personalized language learning lessons. Don’t worry about your skill level being an issue when it comes to understanding the language. 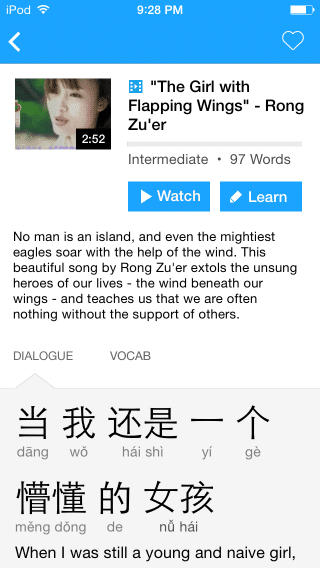 FluentU makes native Chinese videos approachable through interactive transcripts and subtitles. The powerful learning program turns every video into a language learning lesson. You can always swipe left or right to see more examples for the word you’re learning. The best part is that FluentU always keeps track of your learning and suggests content and examples based on the words you’re learning. That means every user gets a 100% personalized experience! Start using FluentU on the website with your computer or tablet or, better yet, download the FluentU app from iTunes or the Google Play store. With paid lessons, Chinese characters and vocabulary are systematically taught to you according to a teaching plan. You might be wondering what kind of system a self-studier can use for the purposes of their learning. One tremendously valuable resource is called the HSK. The Hanyu Shuiping Kaoshi (汉语水平考试) is a national standardized test for non-native Chinese speakers. There are six levels, from HSK 1 to HSK 6, with the latter being the most difficult. With each level, there is an associated character and vocabulary list that you can use as a guideline. Below are the number of words and characters associated with each HSK level for reference. Additionally, check out this link to access the HSK vocabulary list. The sole use of the HSK vocabulary list as a guideline can be limiting at times, so take a look at this FluentU blog post containing several vocabulary lists for the aspiring learner. Now that you have an idea of what to study, this next part is focused on the how. It is important to study characters before vocabulary words, as vocabulary words are constructed quite logically using the combined meaning of the characters. For the total beginners out there, Chinese characters consist of three parts. First, there is the character logograph and the pronunciation. 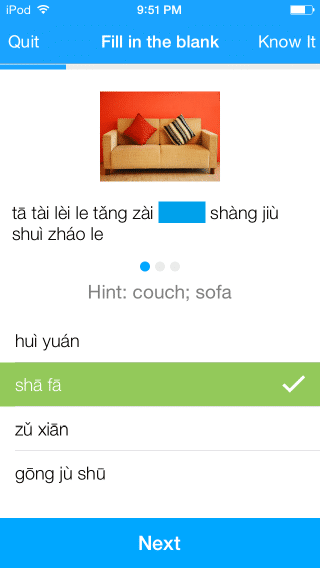 The pronunciation is broken down into the pinyin and the tones. Each character has a corresponding pronunciation, (a certain few have more than one) so learning Chinese characters is no easy task. Luckily, there’s a great blog post here about learning how to read and write Chinese characters. This post gives a handy structure to learn these troublesome Chinese characters, giving various mnemonic techniques that combine into an effective system for learning characters. These techniques focus on the use of visualizations which create stronger memory pathways that help you recollect the characters you learn. As you are learning, do not limit yourself to mediocrity. Strive to push yourself as much as you can. Often, you are your own worst enemy. If you find that you are feeling comfortable with learning 10 characters daily, start learning 20 and you will find that it is not so difficult. But it all depends on your goals and the amount of daily flexibility that you have for learning. While studying Chinese characters and vocabulary, you should start learning basic elements of Chinese grammar. All Set Learning’s Grammar Wiki is an outstanding website that comprehensively covers Chinese grammar, at no cost to learners. As there are six levels in the HSK testing system, all the information is arranged within this framework. This website is a great way to learn grammar without navigating through the hundreds of Chinese grammar books out there. The website picks out the most important grammatical structures as well, making it an efficient study guide on top of everything else. If you wish to learn more Chinese grammar, there is a list of books available that the website used as references. Schools often tend to overemphasize the importance of grammar in the process of teaching languages. This model focuses on grammar from a pragmatic point of view. Learning grammar ahead of time can confuse students with too much information. It is better to subordinate grammar below the more important considerations of actual language use. As you internalize certain grammatical structures then you can keep moving on. Finally, it is time to put the vocabulary (individual building blocks) along with the grammar (the glue) in order to actually communicate in Chinese. There are two important aspects of verbal communication, which are listening and speaking. In order to practice verbal communication, there are a few things that you can do. To improve your listening, the first is increasing your exposure to Chinese media and Chinese language audio sources. Thanks to the numerous video streaming platforms which exist today, it is easy to find a number of TV shows to watch at your convenience. Often, you can find English subtitles for these shows as well, and Chinese subtitles are almost always included. Chinese cinema has produced its share of famous movies, and these movies are another excellent way to learn Chinese. If you are unfamiliar with Chinese cinema, you can look up lists of movies that were box office hits or look up famous Chinese directors and get a taste of their works. This Wikipedia article provides a lot of good information on this subject. The one thing about learning Chinese with movies is that there’s a lot of pain involved when you encounter unknown words. You’ll have to identify the sound, and look them up in your dictionary. You’ll spend a lot of time and energy. If you’d like to be more efficient with this, and are open to watching other kinds of videos, you might want to check out our video-based Chinese learning site FluentU, which was designed to address exactly this problem. In order to improve your speaking, you can find a conversation buddy. There are several websites that can help out with this process. Conversation Exchange: This website was created to link people interested in practicing language. All it requires is for you to sign up and then look around in your city to see who speaks the language you wish to learn. Couchsurfing: Couchsurfing is known mostly for linking travelers and hosts together, but it is also a platform that hosts various events. Depending on your city, there might be events relating to language exchanges in your city. Meetup: Meetup is a website that focuses on bringing people of similar interests together. Similar to Couchsurfing, a quick look on this website may have you finding a language exchange event in your city. Don’t forget to connect to your social network as well. You may be surprised by the number of people who are interested in a language exchange from a simple Facebook post. In the beginning, this stage will be tough to carry out. There are a number of challenges that come with practicing the Chinese language, especially with aspects of the language like tones. You will not master Chinese in a day, so have patience and you will see small improvements building into fluency. There will be “aha” moments in which you find yourself in command of a language completely unknown to you before, and low points in which you will be asking yourself if you have improved at all. The important thing is to persist and learn. Although these three stages are presented numerically, you should focus on doing them largely in conjunction. Do not wait until you have 2000 characters under your belt to start learning vocabulary, and do not wait until you have 2000 vocabulary words to start learning grammar. You might require certain knowledge of each step before moving on the next, but there is no way to know until you try. Finally, practicing your Chinese with a real, native Chinese speaker may seem scary at first, but it is a step you will have to take eventually. Communication requires practice and time, and it is best to start as soon as it is possible for you to do so. So, if you find yourself with constraints that prevent you from seeking out formal instruction, put a hold on your excuses and give self-studying a try. If you find yourself unchallenged in your Chinese classes and want to go at your own pace, start using some of the tips from this article. No matter your motive, there are always tons of great reasons to self-study Chinese! What are you waiting for? It’s time to start studying!